Gillian is a co-owner and physiotherapist at GRSM. 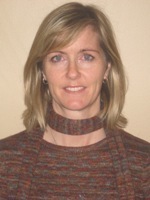 Gillian graduated from McMaster University in 1995 with a Bachelor of Health Sciences in Physiotherapy. Her interest in orthopaedics lead her to become a certified manual and manipulative therapist (Part A) in 2000. Gillian has been working as a registered physiotherapist in sports medicine since 1995. Her interest in treating lower extremity dysfunctions and biomechanical and pathological conditions of the foot and ankle lead her to become a Certified Pedorthist CPed(C) in 2004. Gillian’s educational background has provided her with a unique perspective when assessing and treating lower extremity dysfunction. Gillian has also presented at several conferences on the biomechanical and functional relationship between the pelvis, hip and foot due to her extensive clinical background.